Ar-Tekin Medical was founded on August 1st of 2003 as the subsidiary of ARAŞ Inc. Ar-Tekin Medical has been the distributor of manufacturers that have respectable references in global market with their quality products. Ar-Tekin Medical has located in between leading companies of diagnostic branch with its cost effective and high end product portfolio including Sperm analysis systems, Biochemistry, Immunoassay, Serology, Coagulation and Rapid tests. It was also a big success to append the biggest and respectable laboratories of Turkey to its customer portfolio with specific test parameters. The ThunderBolt is designed to automate the processing of enzyme immunoassay (EIA) and Chemiluminescent Immunoassay (CLIA) tests. The system is only intended to be used by properly trained personnel. 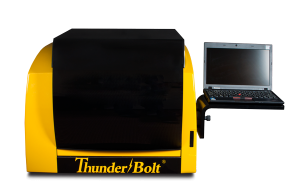 The intended use for the ThunderBolt® is as a discrete photometric chemistry analyzer intended to duplicate manual analytical procedures by performing various steps such as pipetting, heating, and measuring color intensity automatically. We are the distributor of Fortress Diagnostic and Robonik companies for coagulation instruments and reagents in Turkey. It has been making Turkey Distributorship of Fortress Diagnostic, Bio Focus and Boson companies for Rapid Tests. Biofocus has also US FDA certificate in addition to CE certificate on its products. Our company is the exclusive distributor of Microptic SL in Turkey for human products. We are distributing CASA instruments that are developed according to World Health Organisation criters for human and animal species sperm analysis in Turkey. Microptic SL is the first choice of the medical organisations that do scientific researches including universities and other medical organisations. Our company has been conducting the Turkey distributorship of Diazyme, Greiner and Fortress companies for biochemistry reagents. Diazyme is a US headquartered company and especially it is the most powerfull and preffered company of the market for specific biochemistry reagents. Greiner is a Germany headquartered company and it is one of the leading companies of the market for regular and specific biochemistry kits. Ar-Tekin succeeded to combine Diazyme and Greiner specific product portfolios as an innovation to market which results in eliminating customer’s difficulty in contacting different companies for these kind of products. Regarding to biochemistry instruments, our company serves to fulfill the customer’s needs with Greiner GA 400 for upto 600 tests/hour and Crony Saturno 300+, Saturno 180, Saturno 150, Saturno 100 for smaller systems. Our company is the exclusive distributor of Gold Standard Diagnostic in Turkey. Ar-Tekin Temizlik Gıda Güvenlik Tıbbi Ürünler Turizm Sanayi ve Tic. Ltd. Şti.